FRANKFURT -- European new-car sales rose 14 percent in February while Volkswagen lost market share for the sixth month in a row as the automaker’s diesel-emissions cheating scandal pushed buyers to rivals such as Fiat, Ford and Opel/Vauxhall. Registrations in the EU and EFTA markets rose to 1.09 million, data released today by industry association ACEA showed. 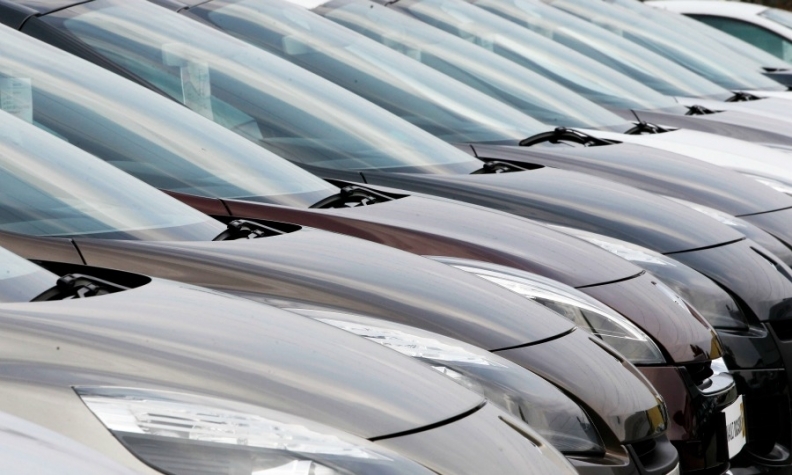 The European car market has grown for 30 consecutive months. Gains last month were bolstered by low interest rates, discounting by manufacturers and cheaper fuel, as well as by an extra sales day in February because of leap year. VW's core brand saw monthly volume rise by just 4.6 percent while its competitors enjoyed double-digit gains. The VW brand's market share fell to 11.4 percent from 12.5 percent a year earlier. The marque remained Europe's top-selling brand. Fiat brand's sales surged by 25 percent while Ford's sales were up 19 percent and Opel's volume increased by 18 percent. Two-month industrywide registrations were up 10 percent to 2.11 million vehicles. • Download PDF, above right, for February sales by group and brand. Luxury nameplates BMW, Mercedes-Benz and VW's Audi fared well, posting growth of 15 percent, 21 percent and 16 percent, respectively. Among Asian brands, Kia's sales rose by 22 percent while Hyundai was up 15 percent and Toyota brand sales increased by 9.8 percent. Nissan's volume was up by only 1.4 percent. "Europe is still in a recovery phase," Ian Fletcher, an analyst at market research firm IHS Automotive said on Tuesday, citing improving economic growth, pent-up demand in southern European economies and strong sales of company cars. VW brand sales have struggled in Europe following an admission last September that the automaker rigged emissions software in up to 8.5 million group vehicles in the region. Analysts Evercore ISI said VW's market share declines are "so far are much less severe than we and many others had forecast." Carmakers offering the best deals in Germany last month were PSA/Peugeot-Citroen and Renault, with an average 14 percent off the sticker price, while the Fiat brand offered discounts of 13.2 percent, according to trade publication Autohaus PulsSchlag. Industrywide, German rebates widened last month to an average of 12.3 percent off the list price from 12.1 percent in January and 12 percent a year earlier.